You might not be able to see them yet, but there are several new developments at 49 Degrees North Mountain Resort. This past summer, the resort announced the construction of a new mid-mountain lodge at the top of the Blastface in the east basin of the resort and a new chairlift to access Angel Peak. Naccarato says that the mid-mountain lodge will provide people the chance to get right back on their skis, instead of having to take the lift back up first. It will also provide a European feel, where people can sit on the deck and watch others ski past. The resort broke ground over the summer for the lodge and put utilities in place. Construction is tentatively set for next fall. The facility will be two stories and will include easy access from Silver Ridge, a heated deck, a meeting area in the daylight basement, indoor restrooms with handicap access, a dining area with in-floor heating, a first-aid room, a great menu and stunning views of the Sunrise Basin and the surrounding mountains. The resort also bought a new chairlift a year ago. “This summer, we did all of the legwork in terms of getting the ground broke and rearranging some of the runs over on Angel Peak, because the chair is ultimately going to access the Angel Peak, ” Naccarato says. The new chairlift will encourage more people to experience the newly expanded glade terrain, which was previously accessible only by a 10-minute boot hike. “You’ll have a lot more options for tree skiing now,” Naccarato says. If you’re not familiar with the mountain, get acquainted with one of the mountain hosts, a group of volunteers who provide tips and tours to help visitors get acquainted with the mountain. “The first thing you need to do when you have a limited time is to formulate a plan,” says mountain host director Gary Deaver. Before coming to the mountain, decide what kind of skiing and what level you want to do. Once you do that, mountain hosts can tailor a one-hour tour to the kind of experience you want. Deaver, who is also the mountain’s patrol director, meets with hosts, patrollers, lift operators and groomers every morning to discuss the mountain’s conditions. Even if you are an advanced skier who knows the mountain well, the hosts or patrollers will know which runs have been groomed and how much. If you’d rather explore on your own, Deaver suggests knowing weather patterns from the night before. For example, winds from one direction means the powder will be softer on the opposite side of the mountain. Or after a warmer day that melts some snow, runs will freeze overnight and be much slicker the next morning, but the east face will softer because of the sun. 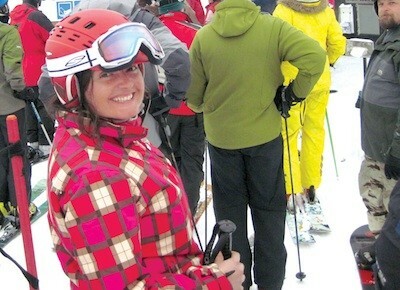 The resort has scheduled four night-skiing sessions to benefit the Chewelah Food Bank. On Jan. 7, 14, 21 or 28, bring $5 and four cans of food and enjoy live music and the illuminated mountain after dark. 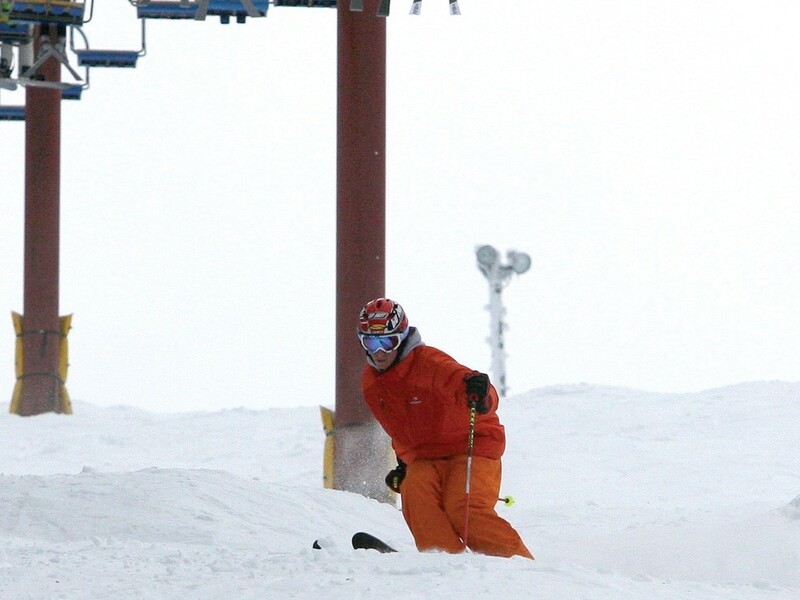 Yoke’s Foods and Qdoba Mexican Grill are offering vouchers that allow two people to ski for the price of one on Tuesdays. Toyota Ski Free Day is on Feb. 24, and Toyota Ski Free Week is the resort’s last week of operation, April 2-8. The resort is completely open to the public on these days.